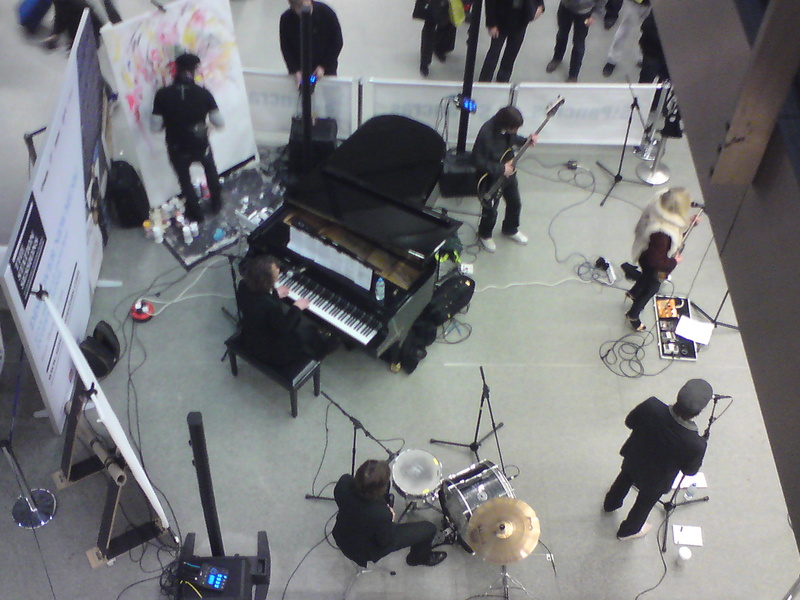 My train was delayed on the way home from London but beautiful music filled the space at St Pancras Station . Tallulah Rendall and her band were playing and this artist was painting as they did so. As I looked down on them with the music echoing amongst the vast steel arches it was a moment of wonder and beauty in the midst of cold and frustration. And if the train hadn’t been delayed I wouldn’t have experienced it.